ALLEGRA BOVERMAN/Staff photo. Gloucester Daily Times. 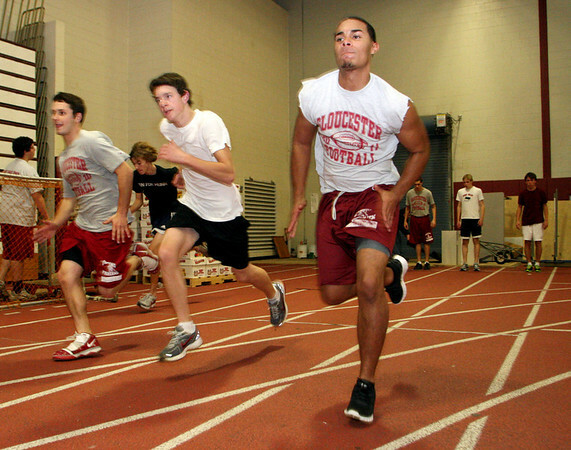 Gloucester: From left are Gloucester High School indoor track team members Mark Horgan, Jon Laurie, both juniors, and Wilson Suriel, a sophomore, during practice on Monday afternoon.